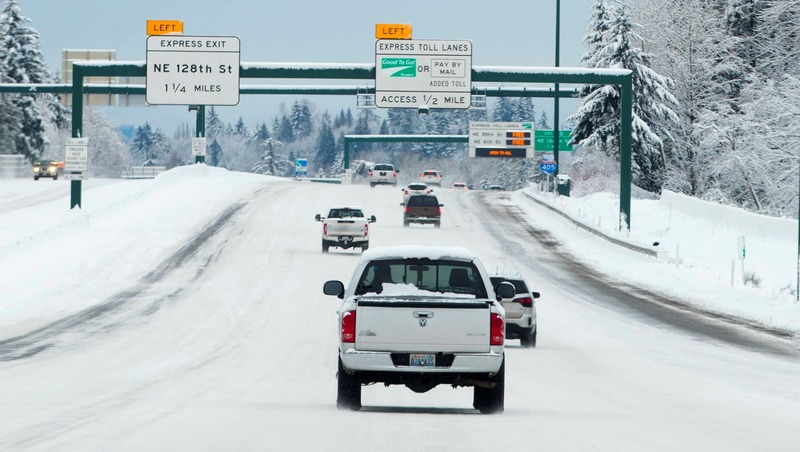 Cars drive on snow and ice on Interstate 405 approaching Kirkland, Washington, on Saturday. This view looks south from Northeast 160th Street. Residents of the Pacific Northwest took to neighborhood hills with skis, sleds or even just laundry baskets Saturday to celebrate an unusual dump of snow in a region more accustomed to winter rain. (Associated Press: MIKE SIEGEL/ The Seattle Times).